The Anita Zucker Center for Excellence in Early Childhood Studies invites you to join us for a presentation to be given by SEC Visiting Scholar Dr. Herman Knopf on Friday, January 8, 2016 from 12:30-2:00pm in room 158 Norman Hall. Dr. Knopf is Research Director at the Yvonne & Schuyler Moore Child Development Research Center and an Associate Professor of Instruction and Teacher Education and Early Childhood Education at the University of South Carolina. The title of his presentation is Accessibility or Utility: Developing an Understanding and Strategy for Measuring Family Access to High Quality Child Care and Education Services. The College of Education will host the annual Careers in Education event from 5:00-7:00pm on Wednesday, April 6th on campus in the newly renovated Reitz Union Rion Ballroom. This course is designed for Graduate students interested in garnering experience to teach at the University level. 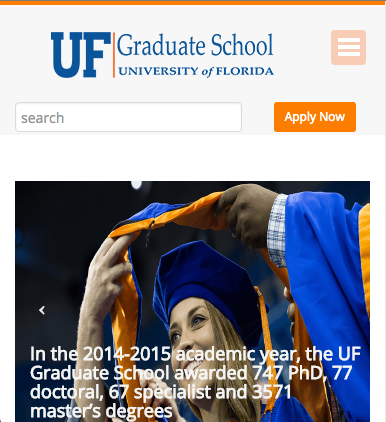 Graduate students from disciplines outside of education are encouraged to enroll. Click here for further details. Contact Dr. David Therriault (therriault@coe.ufl.edu) for more information. Register for a New Spring 2016 Course: EDA 4930 – Intercollegiate Athletics & the University (see attachment for more information). In this eight-week online course, we will explore the nature of a single story and consider whether traditional literacy curricula permit students to see themselves in the texts they read. Course readings, activities, and discussions will focus on examining the nature of multicultural texts in today’s classrooms. Final projects will allow students to create a digital text set based on students’ needs and interests in multicultural literacy. Please email Dr. Kathryn Caprino at kcaprino@coe.ufl.edu with any questions. The purpose of this fast-paced and engaging course is to develop in-depth knowledge and skills about healthy parenting practices and child-related outcomes. The course is open to all graduate majors and is perfect for anyone who will be working with, or advocating for, parents and children. More info here. Tour education around the globe without leaving UF. This course, facilitated in seminar format, will explore education from multiple perspectives, including international development, literacy and language, teacher education, education for economic and social justice. Offered Mondays, periods 6-8. Contact Dr. Maria Coady (mcoady@coe.ufl.edu) for additional information. The DC Gator Club has an open application process for one scholarship of $1,500 for a University of Florida student with an internship in the greater Washington, DC area for the spring semester. Undergraduate and graduate students who will be spending the semester in this area are welcome to apply. A scholarship will be awarded to a student who demonstrates exceptional academic achievement as well as professional promise and a commitment to the Gator Nation. Applications are due no later than January 3, 2016. 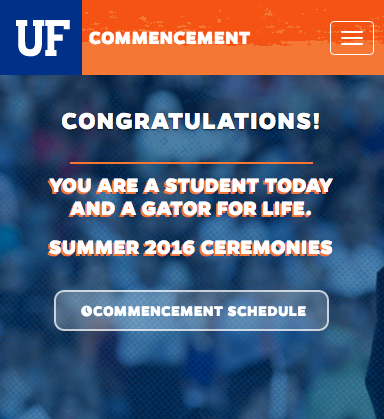 To apply, fill out this form, and submit a resume and unofficial transcript to scholarships@dcgators.com. Complete applications are due by 4:00pm, FRIDAY, JANUARY 15, 2016. The College of Education awards scholarships to graduate and undergraduate students through an annual scholarship selection process. Eligibility for individual awards is determined by the College of Education based on a student’s Fall 2016 classification. Students who will be enrolled in Fall 2016 or have applied for admission in Fall 2016 are eligible to apply for College of Education Scholarships. All information submitted will be verified and only complete applications will be considered. 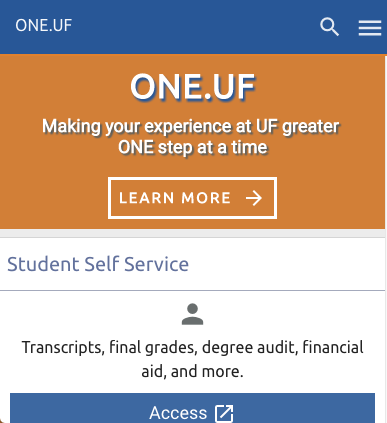 Scholarship descriptions, the scholarship application, and recommendation forms are available at https://education.ufl.edu/student-services/scholarships/. Contact scholarships@coe.ufl.edu with questions. The University of Florida, a partner institution in the Davis United World College Scholars Program, is pleased to announce an opportunity for undergraduate students to design a grassroots project for peace anywhere in the world! The Davis Foundation will award the winning project $10,000 for the project to be implemented during the summer of 2016. Undergraduate students use their creativity to design a project that focuses on conflict resolution, reconciliation, building understanding and breaking down barriers that cause conflict. Due to this generous funding, UF students have had the opportunity to travel and perform service projects all over the world (Niger, Brazil, Bolivia, Haiti, Rwanda, Mexico, Tanzania, Cambodia, India, Palestine, Swaziland, Macedonia, & Uganda). Learn more http://bit.ly/projectsforpeace16. Fall Graduates! Career Opportunity: 4th Grade Teaching Position available in West Putnam at Interlachen Elementary School, a very short commute away. Please apply at www.putnamschools.org and/or call Diana Drew, Assistant Principal. Dixie County High School located in Cross City, Florida is currently hiring for a Secondary 9-12 Teacher. The application and instructions are located at http://aplusweb.dixie.k12.fl.us/~isb@dixie.k12.fl.us or you can email it to Nicole Chesser at nicolechesser@dixie.k12.fl.us. Click here for additional details. Interested in a Change of Scenery? Denver Public Schools will be at the University of Florida Career Showcase on Tuesday, January 26th and will be having a Meet & Greet/Q&A afterwards at the Reitz Union Starbucks. If you are interested in employment opportunities in Denver, please join them from 3:30-5:30pm. Click here for more details; www.teachindenver.com. Student Assessment Specialist: The ideal candidate will have superior organizational and computer skills, as well as a bachelors degree and the ability to obtain a teaching certificate. Social Studies Instructor: The ideal candidate will have experience with Advanced Placement or Cambridge classes and a passion for history and government, as well as strong written communication skills. Language Arts Instructor: The best candidate will have strong oral and written communication skills, the ability to provide feedback to improve students writing skills and strong classroom management skills. Guidance Counselor: The preferred candidate will have a passion for helping students find their passion and academic niche; strong organizational, verbal and written skills; and ability to investigate and keep current with the constantly changing graduation and post secondary requirements/opportunities. Currently have two teaching positions available: K-5 ESE teacher who would push in to classrooms and pull students for intervention and a general education 2nd grade teacher. Anyone interested may contact Assistant Principal Denise Ricks, ricks.denise@mybradford.us or Principal Earnest Williams, williams.earnest@mybradford.us, 904-966-6061. Pinellas County Schools is offering a Winter Teacher Job Fair for 2014 or 2015 graduates in Elementary Education K-5, Early Childhood PreK-3, Exceptional Student Education K-12, English/Language Arts 6-12, Reading 6-12, Science 6-12, Math 6-12, School Psychologists, Social Workers, Guidance Counselors, and Speech/Language Pathologists. Please see flyer for further details. Polk County School District will be holding their next intern and graduate job fair on Friday, January 22, 2016 from 4-6pm. Principals will be conducting interviews for those who wish to secure employment for the remainder of the 2015-2016 school year and possibly for the 2016-2017 school year. Contact information and location available here. Apple is hiring Gators! 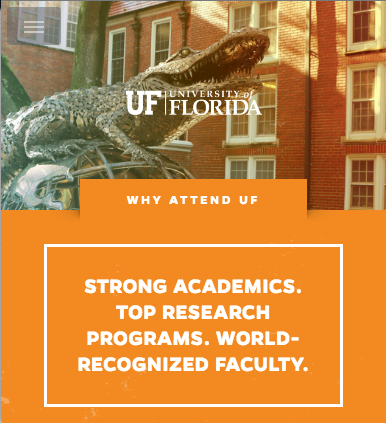 We are looking for UF students who are passionate about technology and love teaching others. As an AppleCare College Advisor, you’ll work from home and help customers have the best experience possible. You’ll be provided with comprehensive paid training, a network of peers, and all kinds of resources to promote your career development. And even while working part-time, you’ll be eligible to receive full corporate benefits like tuition reimbursement, paid time away, charitable matching, and the potential to grow in a career at Apple. Seeking candidates for Summer 2016 teaching positions. Applicants should have an undergraduate degree or higher from any discipline. We provide a paid training program and comprehensive on-going support. Click here for further information. Thomas Jefferson School (TJS) located in Chile is hiring an English Teacher (and possibly Department Head). Please see position description and FAQ regarding working at TJS and living in Chile. Contact pbilingues@gmail.com with any questions. Boulware Springs Charter School in Gainesville, FL is seeking a highly-qualified classroom teacher for a 2nd grade teaching position. The position is available immediately. Responsibilities include managing a classroom of students, creating and implementing innovative and rigorous lesson plans, monitoring student progress, using data driven instruction to adjust to student learning, teaching character education, creating a warm environment, and working as a team member throughout the school. For additional details, please visit http://www.boulwarecharter.com/employment. US teaching assistants not only enhance the instruction of English as native speakers; they are also important resources for first-hand information about the United States and the “American way of life.” The Austrian Federal Ministry of Education and Women’s Affairs (BMBF) finances this program, which is administered by Fulbright Austria (Austrian-American Educational Commission). While the participants in this program contribute to the Fulbright goal of promoting mutual understanding, this is not a Fulbright grant program. For information on the Fulbright student program in Austria, please consult the Institute for International Education at http://us.fulbrightonline.org or the website of Fulbright Austria. You can find more information about the US Teaching Assistantship program, including how to apply at http://www.usta-austria.at/. Only online applications will be accepted. Please note that the application deadline for the program year 2016-17 is January 15, 2016. Program description and an informative program flyer are located at https://www.usta-austria.at/site/programdescription/program. Please contact Program Officer Dr. Jürgen Hörmann at jhoermann@fulbright.at with any questions. PACE Center for Girls provides girls & young women an opportunity for a better future through education, counseling and advocacy. We are seeking undergraduate and graduate students of any background to work one-on-one with our staff and students. Please see attachment for available positions. The PACE Center for Girls Internship Program offers a small group of outstanding students the opportunity to acquire direct exposure to non-profit management. We accept students currently enrolled in a bachelor or master’s degree. We accept recent graduates as well (maximum one year after graduation). Internship assignments vary greatly in terms of content. However, interns are normally involved in some aspect of the programming, administrative, development, special events, and outreach of PACE Center for Girls. Every attempt is made to match the interests of the intern with the needs of the organization. To apply and for more information, click here. Blueprint Schools Network is a nonprofit organization that partners with states, districts and schools to promote educational equity and improve life outcomes for students. Blueprint is currently working with public school districts in Boston (MA), Salem (MA), Denver (CO), St. Louis (MO) and East St. Louis (IL). Blueprint is seeking Blueprint Fellows to serve as math tutors/instructors in the K-12 school system in the aforementioned cities. Attached job description provides more information. Their recruiting team is constantly seeking qualified applicants, but they are especially interested in December graduates at this time to fill immediate openings. My nine year old daughter who is currently in the fourth grade needs a tutor. She needs assistance in reading comprehension and math. Please contact Adam Holt at holt485@yahoo.com, 352-514-7376; Betty Holt at holt_232@hotmail.com, 352-219-9070. My eight year old son is currently in the second grade at Genesis Preparatory School. He needs a tutor to assist with both reading and math. I am hoping that the tutor will meet with him at least 2-3 times a week. Please contact Chelsea Kendrick at ckendrick914@gmail.com; 352-665-9994 or his teacher, Mrs. Henery at 352-379-1188. Interested in becoming a student ambassador for the University of Florida? The Florida Cicerones serve as the official campus tour guides through the Office of Admissions. We work with the University Athletic Association by hosting potential student athletes and their families. We assist the office of the President during Dr. W. Kent Fuchs’ events in the President’s house or the sky-box during football games, and we perform community service in the Gainesville community with organizations such as the Boys & Girls Club and TOPSoccer. Click here for further information. Mt. Zion AME Church is looking for 2-3 student volunteers to assist with building our youth department, ages 10-18. The commitment is 20-25 hours monthly, Sundays (10a-1p,) Thursdays (evening, 2 hours, 5p-7p) and one Tuesday a month (evening, 1 ½ hours, 6:30p-8p). They are also looking for a musician. The commitment is 18-20 hours per month, Sundays 10a-1p and Thursdays 6p-7:30p for rehearsal. A stipend will be provided. Position descriptions and contact information available here. The UF Boys and Girls Club is a new organization started to facilitate interns for the three Boys and Girls club centers here in Gainesville. We focus on using UF students to better their afterschool and summer programs by providing tutors and support for the children to learn and grow in a safe environment. Following internship completion there could be opportunities to be employed by Boys and Girls Club and advance to the local and national level. The application deadline for the Spring 2016 program is November 30, 2015. All application materials, including cover letter and resume, must be submitted on or before the application deadline. Interns must work at least 10 hours a week anytime between 2-6pm Monday thru Friday with a schedule of your choosing. Interested in participating in a study about reading disorders? See flyer for more information.